If you would like to host a county page, or assist the project in any other way, please contact the Indiana State Coordinator Lena Harper or one of the assistant state coordinators Jim Cox or Karen Zach. To view more information on becoming an INGenWeb volunteer, click here. 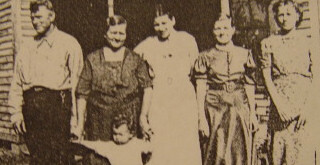 The Pulaski County website has been adopted by the Pulaski County Genealogical Society. Pulaski County was formally organized May 6, 1838, when a group of men met at a log cabin and designated "Winnemack" as the "Seat of Justice," and received donations of land for a public square, a public seminary and a graveyard. Winamac was named after an Indiana Chief who lived in the area in the early 1800's. The county was named after General Casimir Pulaski, a Polish-born soldier in the American Revolution. The county's first election was held May 13, 1839. In addition to being the county seat, Winamac was the location of a government land office from 1839 to 1857. 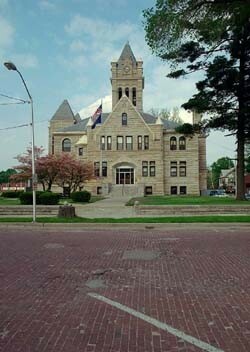 Located in northwestern Indiana, Pulaski County is rectangular, 18 miles north and south, and 24 miles east and west. The county is generally level, except in areas along the Tippecanoe River which runs from the northeast corner of the county through the south central part of the county. There are four incorporated towns: Winamac, Francesville, Medaryville and Monterey. Unincorporated villages include Star City, Pulaski, Denham and Beardstown. Pulaski County has had three courthouses since its organization. The present structure was completed in 1895 at a cost of $50,000. Please email the County Coordinator if you have any suggestions or contributions you would like to make. I hope you find these efforts helpful in your research of your County roots. Pulaski County Genealogical Society meets bi-monthly at the Pulaski County Public Library. If you have specific requests you may email the county coordinator and members of the society will try and locate items for you.